Halloween is over, and now we’ve got bags of leftover candy to use up. Got any BUTTERFINGER® candy bars in your bag? 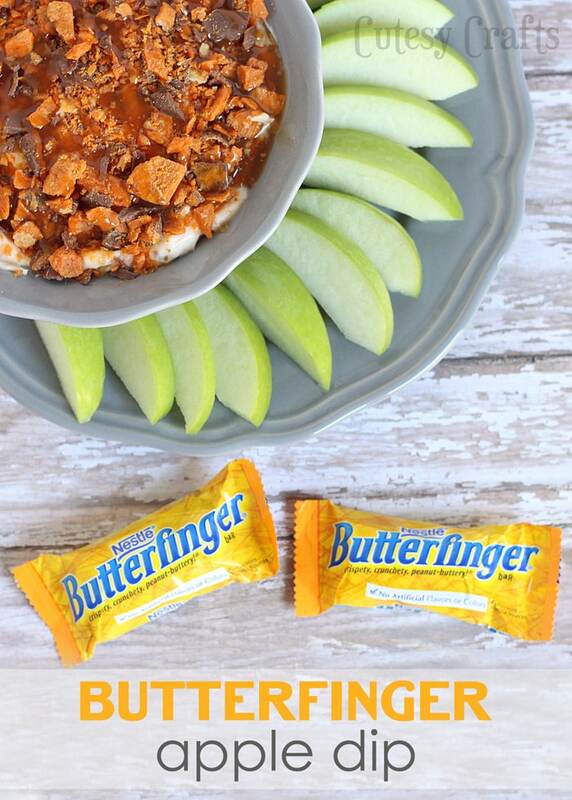 If not, you might need to go get some because I’ve got a delicious BUTTERFINGER® apple dip recipe for you! 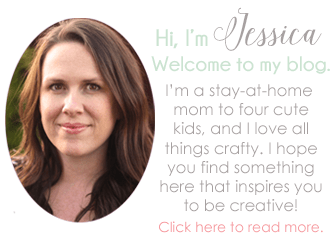 Seriously, it’s amazing! I would be happy just eating it by the spoonful, it’s that good. My kids loved it too, of course. It makes a nice little snack because they can eat their Halloween candy and still get some fruit in there too. 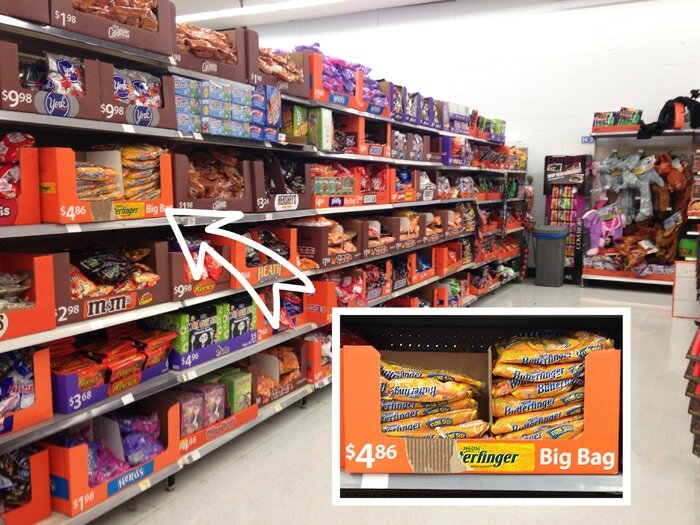 We headed over to Walmart’s holiday section to pick up a bag of BUTTERFINGER® Fun-Size candy bars. Right now, you can earn $1 with Ibotta when you buy select varieties of Nestle® Fun-Size candy. 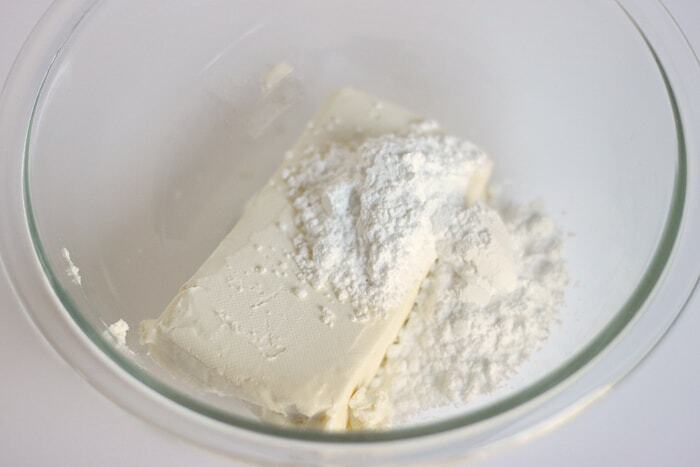 Put the cream cheese, powdered sugar, and milk in a medium-sized bowl. 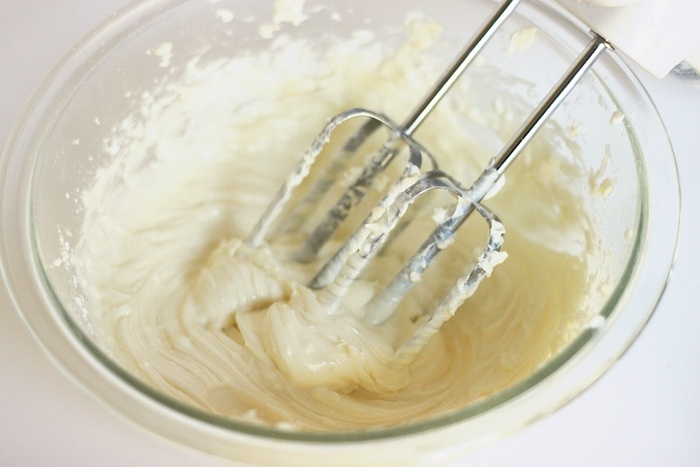 Using an electric mixer, blend until creamy. 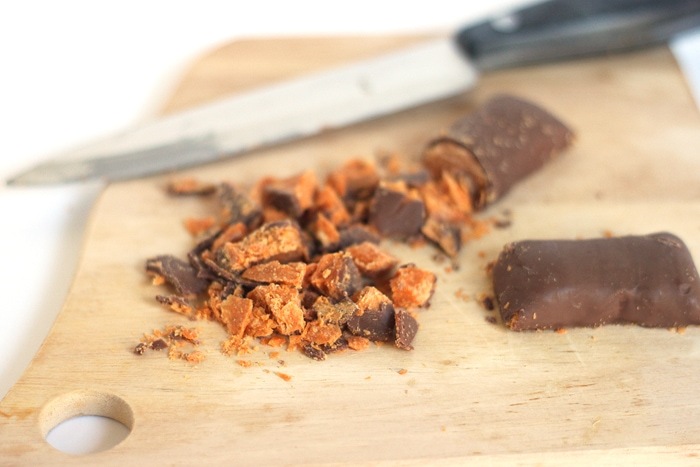 Crush or chop the BUTTERFINGER® candy bars. 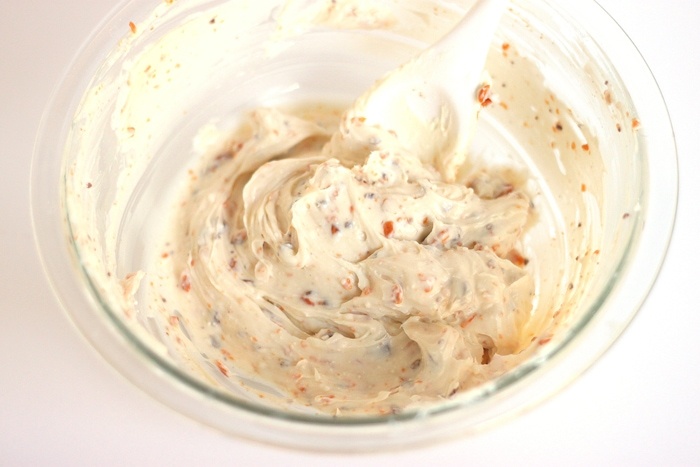 Stir half (1/4 cup) of the crushed BUTTERFINGER® into the cream mixture. 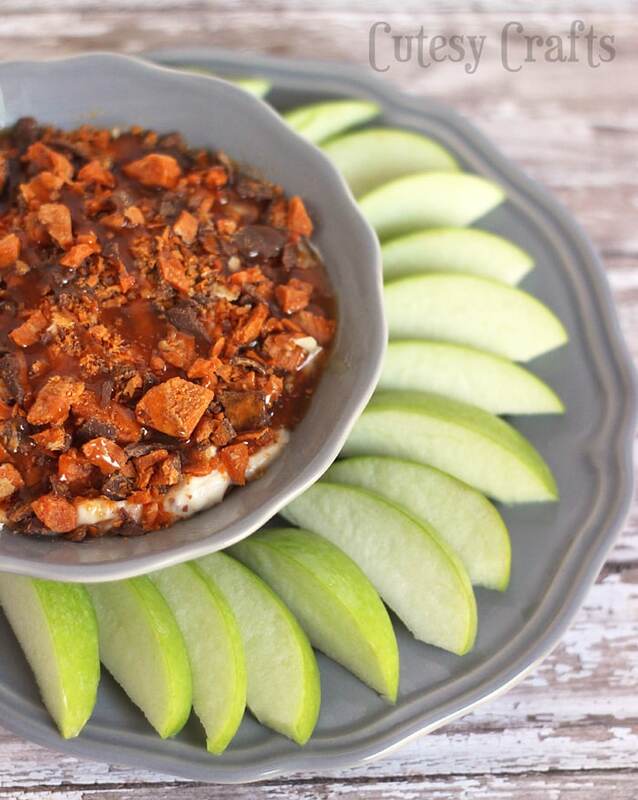 To keep your apples from turning brown, mix 1 tsp of salt into a medium bowl of cold water. 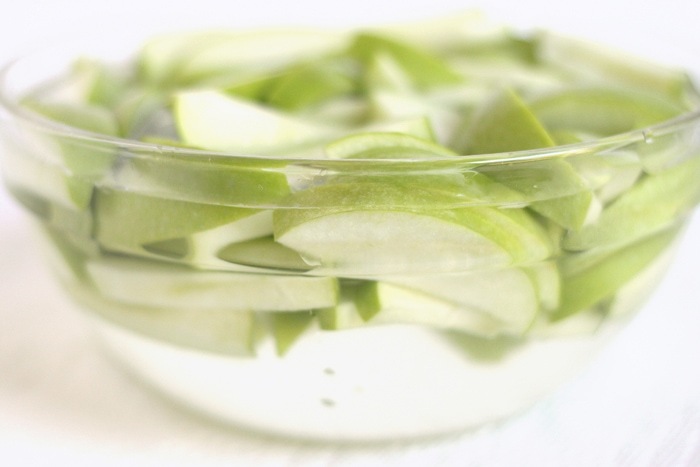 Place the apples into the bowl of water immediately after cutting. Let them sit for a few minutes and then rinse them with fresh water. 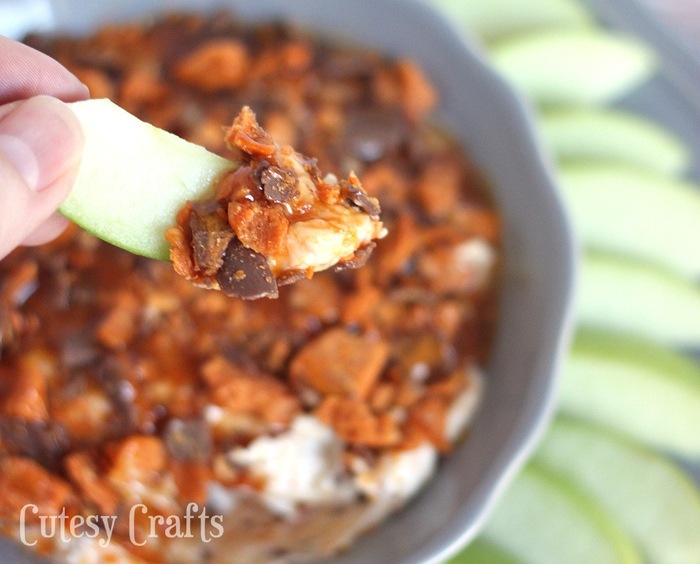 I recommend using green apples with the dip. Top the cream mixture with the remaining crushed BUTTERFINGER® and drizzle the top with caramel sauce if desired. Dig in and enjoy! YUM! Be sure to check out the new BUTTERFINGER® Pinterest page for more great ways to use BUTTERFINGER® Fun-Size, BUTTERFINGER® Cups Fun-Size, and BUTTERFINGER® Peanut Butter Cup Minis in your own creations.